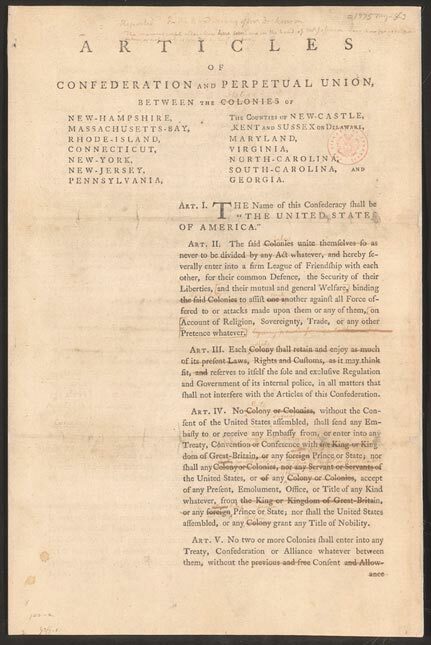 Editor’s note: When we first ran this post it garnered a lot of interest from our customers, so we decided that for July 4th we’d run it again. 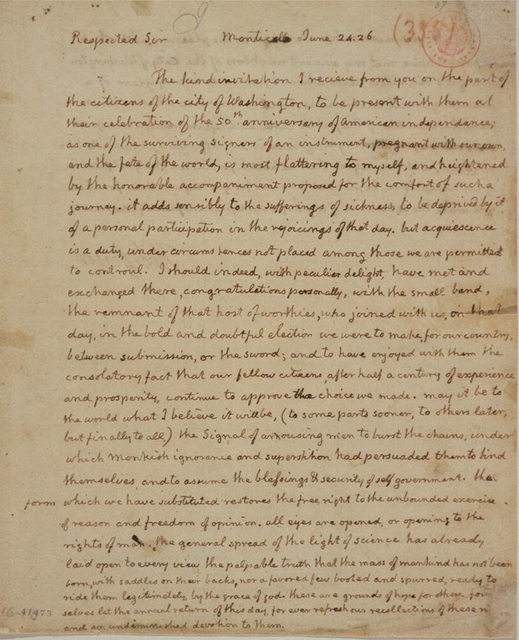 Through the magic of the Internet you can now examine the yellowing letters of Thomas Jefferson, Benjamin Franklin’s first ideas for a colonial confederation in his own handwriting and early drafts of the U.S. Constitution complete with strikethroughs and other edits. 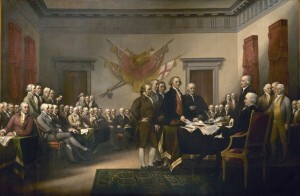 For most Americans, especially on Independence Day, looking at the handwritten notes of some of our country’s founders offers a visceral connection to the country’s beginning. Within each of us is a genetic record of our ancestry, including on what branch of the world’s family tree our paternal or maternal lines belong. While none of the Founding Fathers were customers of 23andMe, we do know a little about their DNA because of publicly-available records of testing done on their direct descendants. 23andMe customers can look back not just at their own ancestry, but they can also see if they share a maternal or paternal line with the likes of Benjamin Franklin, Thomas Jefferson, John Adams, and Alexander Hamilton. Franklin’s maternal line, which traces from his mother to his mother’s mother and so on back in time, is Haplogroup V. This branch of the human family tree is believed to have originated in Europe 12,000 years ago. Only about four percent of Europeans share this haplogroup, which is much more common among Finns, Sardinians and Basques. Known for his wit and wisdom, Franklin also helped draft the Constitution and profoundly influence the character of the Nation. Jefferson, the author of the Declaration of Independence and the third US President, had the unusual paternal Haplogroup T, which is more common among people of the Middle East, although it is also found in England. Jefferson traced his paternal ancestry back to Wales where T is very rare. DNA has also factored into determining that the rumors that Jefferson fathered at least one child with his slave Sally Hemings are probably true. Finally, Alexander Hamilton, Washington’s Secretary of Treasury and the guy on the $10 bill, had a paternal Haplogroup I1a. This haplogroup is common among Finns, Norwegians and Swedes. As we consider our country’s forefathers this Independence Day, these influential men need not be distant historic figures. Rather, a closer look at our DNA may reveal that these men are family. Those of us who share genetic connections to these forefathers can take pride in their family’s role in the birth of this nation.